Striking SEPTA transit police officers stood outside SEPTA Headquarters at 1234 Market St. early this month. SEPTA’s transit police voted Sunday evening to ratify a five-year contract that includes across-the-board raises and gives officers more access to video taken by their body cameras. The union went on strike March 6 in large part because of the body camera issue, but returned to work Tuesday night after the union and SEPTA reached the tentative deal. It will take effect March 30 if approved by the SEPTA board, which will meet March 28. SEPTA cops’ strike touches on a national issue: Who should see body camera footage? Omari Bervine, president of the Fraternal Order of Transit Police Local 109, said Sunday’s vote was “overwhelmingly in favor,” although he declined to provide totals. SEPTA has about 200 transit police officers. Under the agreement, Bervine said, officers will be allowed to review body camera footage after submitting an incident report — if the incident involved an arrest or the use of force. If there are discrepancies between an officer’s description of the incident and what the video shows, the officer will be able to submit a supplemental report. The contract explicitly prohibits any disciplinary action based on the amended submission. It would replace a policy, in effect since January 2016, that bars officers from reviewing video before writing an incident report. Bervine has said the policy puts officers in the position of inadvertently making statements that are contradicted by camera video, which could put them at risk of losing their jobs, even if there were no intent to deceive anyone. Civil rights advocates, in contrast, contend that allowing officers to see video can distort their memories, or cause them to change their accounts to match the footage. Distrust of police accounts by the community is a primary reason for the adoption of body cameras by departments across the country. SEPTA’s policy was stricter than many big-city police departments', including Philadelphia’s. Philadelphia allows police officers to review video unless the incident involved the use of force or a person was hospitalized. Even those exceptions are being challenged by the city police union before the state’s labor board. 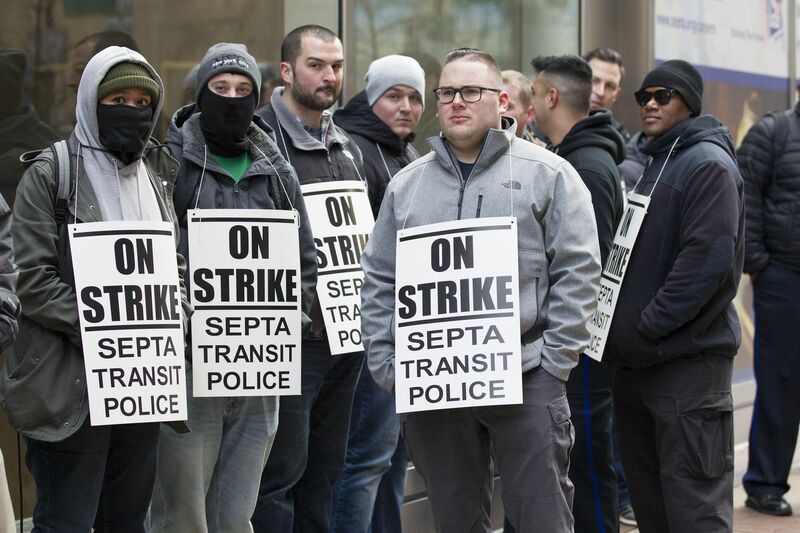 During the strike, SEPTA used supervisors and Philadelphia Police Department officers to fill in. The first full day of the strike began with a fatal stabbing in the concourse of the Broad Street Line’s Walnut-Locust Street station. The issue of pay had been largely settled before the strike. Officers now make an average of $78,706 a year with overtime. Bervine said some changes have been made to health benefits in the new proposal, but referred questions on specifics to SEPTA. A SEPTA spokesman did not immediately return a call for comment.